To get a real glimpse of everyday Thai life, take a cruise on the Chao Phraya River or at the very least, one or other canal in Bangkok where you'll get to see how the locals cook their food, sell their goods and chat outside their traditional Thai houses on the river banks, while children swim and play in the canals. On the biggest canal of all, you'll get to explore and experience some of the best attractions such as the majestic temple of Wat Arun and the Royal Barge Museum along the way. At one very significant stage in Siam's recorded history, the whole transportation system in Bangkok was primarily by the canal. So much so that during the nineteenth century, Bangkok was actually known as the Venice of the East. I've had the privilege to visit Venice in Italy too. Each has its special memories. Though immensely different in both characteristics and cultures, they are two extraordinary channels in which to experience aquatic waterways saturated with a mesmerising variety of historic sights, unique attractions and interesting boats. If you'd like to explore the city of Bangkok from a different perspective other than by road transport where there's the exclusion of pollutants from taxis and tuk-tuks, then one of the easiest and cheapest ways for you, is to simply hop aboard the Chao Phraya Express. One of the services offered is a 75-minute river bus trip that runs between Sathorn Pier and Phra Athit Pier. 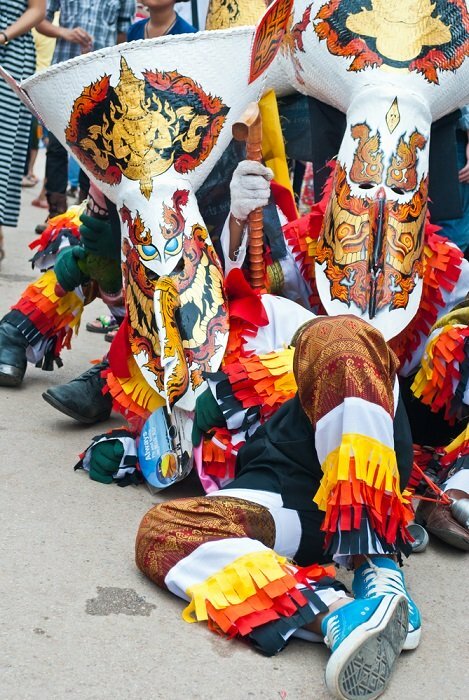 Along with this route known as the royal mile, you will pass several colonial buildings and historical sights such as the Grand Palace and Wat Phra Kaew as well as the Pak Khlong Flower Market and the Church of Santa Crus among others. Be enchanted by Bangkok at night because after the sun sets on this leisurely river cruise, you'll be heading to the riverside for a sumptuous Thai dinner overlooking the majestic Wat Arun Temple. After which, you'll be taken for a drive through the old city to see the Grand Palace and Wat Pho illuminated against the night sky. Later you'll get to browse a buzzing evening market brimming with flowers. The Chao Phraya River boat will take you on a cruise stopping off at several piers along the way for sightseeing tours of some of Bangkok's best historical sites. The first stop is a pier near the Oriental Hotel with the latter well known for its famous celebrities such as Somerset Maugham, Neil Armstrong, Audrey Hepburn, Pelé, Sean Connery, Richard Nixon, Noel Coward and Graham Greene, among others. After the Oriental, you get to see colonial sites such as the Holy Rosary Church, which was built in 1786 near Chinatown by Portuguese settlers. Then there's the Siam Commercial Bank designed by an Italian architect and built in 1906. Just before the Si Phraya Pier, there is the Portuguese Embassy, Bangkok's oldest. If this is your first visit to Thailand, a river trip to view the highlights of Bangkok is highly recommended. All you need is to embark on a classic river cruise to visit the many magnificent temples. The tour, as detailed above will give you just that. 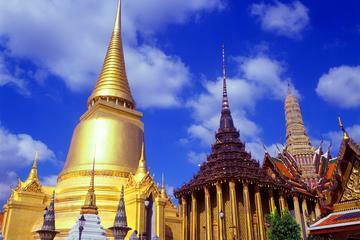 With this tour, you'll get to observe the beauty of Bangkok by land and river with a professional guide. Si Phraya Pier is the next port of call and home to River City and a short walk to Charoen Krung Road. Built in 1861, it's believed to be the oldest road in Bangkok and runs all the way to Chinatown and beyond. Next is Ratchawongse Pier near Sampeng Lane and Yaowarat Road in the heart of where the Chinese community was granted land after being moved from where the Grand Palace is. The next port of call is the Memorial Bridge Pier or the Phra Buddha Yodfa, its official Thai name. Though it's located near the Memorial Bridge, locals call this pier Saphan Phut. It's also the first bridge to have been built over the river in 1932. Beyond the pier is King Rama I Monument and a short way further is Pak Klong Flower Market and the Pahurat Indian Market. And across the way on the Thonburi side of the river, you should be able to get a good glimpse of the dome of Santa Cruz Church, which towers ceremoniously above the rooftops of the lower structures seen in this riverside community. The church was built by the Portuguese in 1770 during the reign of King Taksin. Not far from the Santa Cruz Church is Wat Kanlayanamit, a relatively new Thai temple built between 1824 and 1851 during the reign of King Rama III. Within its walls can be found, what is believed to be the largest indoor seated Buddha at 50 feet (15 metres) as well as the biggest bronze bell in the country. Next attraction coming into view is the white walls of Fort Vichai Prasit which apparently was built during the Ayutthaya period around 1680. The palace of King Taksin is believed to be contained within the walls of the complex. I am led to believe that the entire area is now part of the Royal Thai Navy HQ. 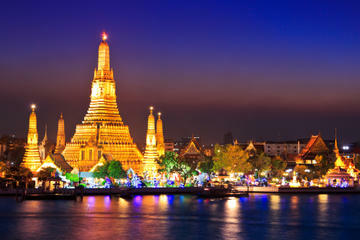 Further upstream, you'll come across Wat Arun also known as the Temple of Dawn. This Ayutthaya period architectural masterpiece was established by King Taksin in the seventeenth century. Its main features are its five prang towers which are encrusted with thousands of colourful pieces of Chinese porcelain. Tha Tien Pier is the next stopover leading to Wat Pho the oldest and largest temple in Bangkok, where the longest reclining Buddha in the country is found. It's a typical sixteenth-century Thai wat and complimented with resident monks. Little visited by foreigners, but often frequented by Thai's who go there to make merit, is the next temple to be seen upstream. It's known as Wat Rakhang meaning bell after an ancient bell was unearthed on the site during construction. Behind the bot is a wooden scripture library where you will find murals from the days between 1782 and 1809 when King Rama I once lived as a monk. After passing the site of the Grand Palace and Wat Phra Kaew, you arrive at the Maharaj Pier where Wat Mahathat and Mahachulalongkorn Buddhist University and meditation centre are housed as well as where the amulet market is located. The last port of call before passing Thammasat University, the National Museum and the National Theatre, is at the Phra Athit Pier. It's just beyond the Phra Pin Khao Bridge and it's also where the Chao Phraya River tourist boat completes its epic journey before turning around and returning from whence it came. Disembark here and then take a short walk to Phra Sumen Fort nearby, one of only two remaining forts in Bangkok. This one was built during the reign of King Rama I in 1783. 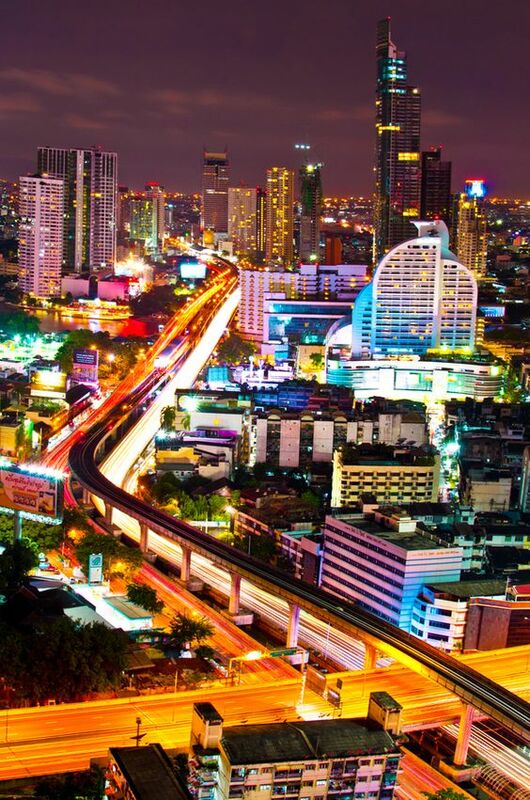 It has long been said that without the Chao Phraya River, also referred to as the river of kings, there would be no Bangkok and you needn't be a rocket scientist to see why it is so. The river has and always will be the lifeblood of the nation. Not only is the river a pleasure platform for people to explore its many wonders, but it's also a major transportation highway for goods and services. The river carries a range of vessels from the hefty rice barges that constantly chug their way downstream to the ferry boats that continually crisscross the river from one bank to another. There are countless long-tail boats roaring past with their brightly coloured awnings, all the while churning the water with their propeller driven six cylinder engines. I don't know about you, but I just love the resonating sound these engines make. Last but not least are the tiny boats laden with fruit and vegetables on their way to the markets. If you are not up to taking a tour on the river itself but would love to watch all the comings and goings on the river, then you could opt for a nice cold drink or a hot cup of coffee at a riverside cafe or a leisurely lunch or dinner at a riverside restaurant. It's great fun to just sit there and watch the pageant parading past. Meandering just off the Chao Phraya River are several canals, also known as khlongs, some of which were once the main waterways of the river. The principle canals are known as Khlong Bangkok Noi, Khlong Mon and Khlong Bangkok Yai. Khlong Bangkok Yai is the first canal you pass if you take the tourist boat tour from Sathorn Pier at Taksin Bridge. To get to the pier, take the Sky Train on the Silom Line and get off at Taksin Station, which is on the west bank of the river. See map for details. The canal itself is very popular with tour boats as there are several temples to see including Wat Kalayanamit which houses a big Buddha image and Wat Pak Nam which is famous for its amulets. Along the way, you can stop at the snake farm and the floating market along Khlong Dao Khanong. Khlong Mon is the next canal up on the same side just north of Wat Arun. This canal leads to an orchid farm where you'll be able to step ashore to look around before continuing your journey to explore and taste traditional canal-side life. Khlong Bangkok Noi is further up on the right near the Thonburi Railway Station and the Phra Pin Khao Bridge. Near the entrance to the canal is the Royal Barge Museum containing a display of ornamented royal barges. Still further upstream is Wat Suwannaram. It houses a display of decorative murals. Though there are numerous organised river tours you can take, the most popular one in Bangkok is via the Chao Phraya River tourist boat. They operate daily from 9:30 am until 3:00 pm. Boats depart every half an hour from Sathorn Pier. Ticket prices for tours are reasonable, allowing you to purchase a day pass for 150 Baht which will give you unlimited trips for that particular day. Admission fees to the places of interest mentioned above are not included. You will have to pay separately for the entrance fees to any additional sites you wish to visit. If you only want to visit certain places of interest then that's okay too. Simply step off onto any one of the nine piers where there is a site you wish to visit. Spend whatever time you wish there and when you want to leave, simply catch another tourist boat to your next place of interest using the same day pass. Alternatively, you can buy a single trip ticket from the Sathorn Pier central office or at the Phra Arthit Pier as well as the (BTS) Bangkok Transit System Tourist Information Centers at Taksin Bridge Station, Siam Station and Nana Station. You can also collect a brochure giving you details of the boat schedules so as to keep track of departure times etc. You don't want to miss the last bus back home. Not that it really matters as there are always loads of taxis around.